Showing 2 articles from September 17, 2013. 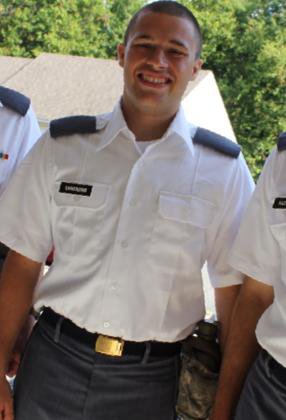 Cadet Joshua Parker Camenzind completed Cadet Basic Training (CBT) at the U.S. Military Academy recently in New York. Vader and Blue Array are nearing a contract for wastewater treatment services as the fledgling company’s pilot program in the city is nearing an end. Blue Array had originally agreed to a three-month pilot test of their technology at no charge to the city and, after more than a year of preparations and analyses, the test began last May. Since then, the sewer plant’s water quality has been brought back into compliance with Department of Ecology (DOE) discharge standards, after having consistently violated permit since 1988, according to the DOE web site.